Fence Staining Portfolio - Call for Free quotes on Fence Staining in Fort Worth, Arlington, HEB, Southlake & Keller, Flower Mound & more! Ball: A round orb used to decorate post tops. Baseboard: Boarding that lines the wall of a fence, just above ground level. 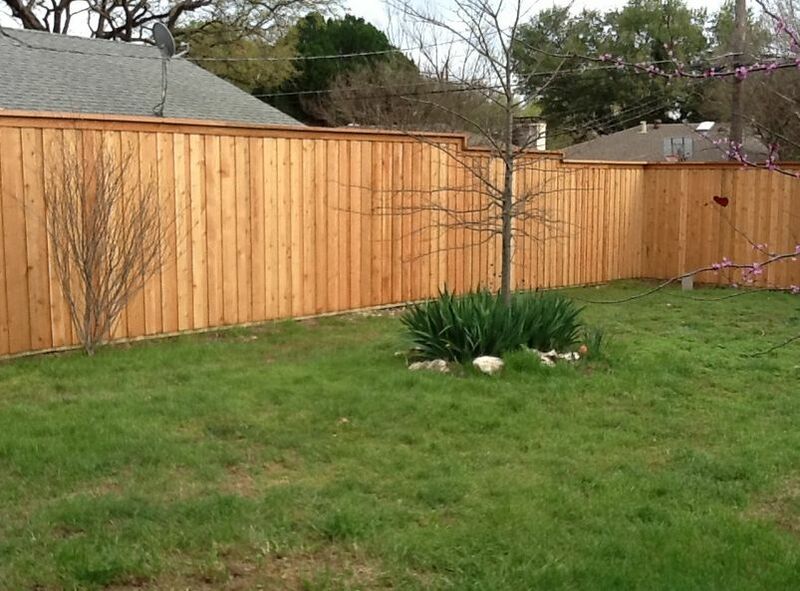 Complimenting Fence: A fence using more than one type of infill. Scroll Bracket: A decorative member used to ornate a gate top. Usually used in pairs to flank a decorative centerpiece. Learn more about fence staining from Texas Fence Staining - including tips and tricks on how to preserve wooden decks and more. From the time the first fence was built to define a property line, such barriers have provoked may disputes, both in and out of court. Even if the fence is built to resolve land ownership disagreement, problems can arise concerning fence ownership and maintenance. To help minimize these and other potential conflicts, it's wise to make a written agreement with your present neighbors concerning design and location aspects. Who owns it? 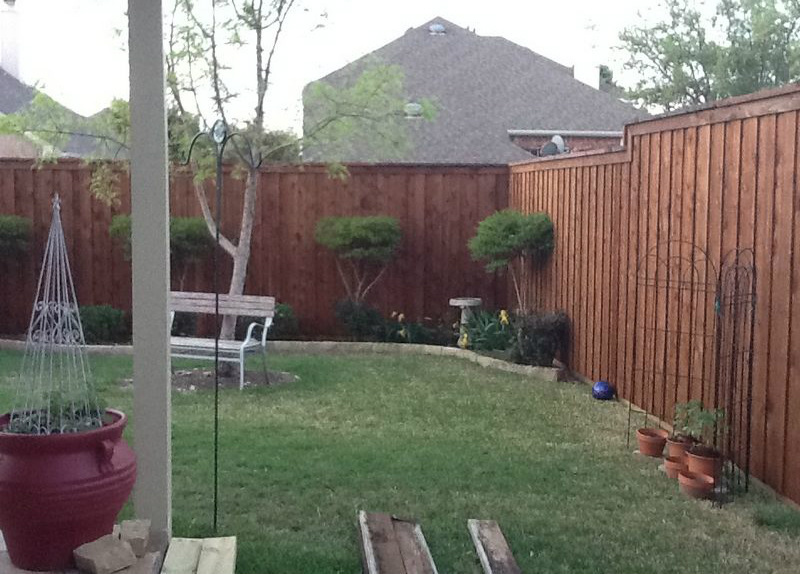 Fences are generally considered to belong to the land on which they're built. But a boundary or division fence belongs to adjoining property owners as tenants in common. To avoid ownership disputes, you'll need an accurate survey of the boundary to be sure the fence is correctly placed. We can assist with this and any other matters that may arise.